Done Rite Party bounce houses are available to rent for any festive event being held in the city of Seminole, Florida. Seminole has come a long way since its beginnings in 1879, at which time Albert and Dell Meares homesteaded with their ten children in a Seminole area now known as Seminole City Park. Times were simpler way back in the 1800’s and special occasions were celebrated in a much different way. Community gatherings in Seminole were held at the Meares’ home (which also served as the local post office.) If, indeed, birthday parties did take place, there would have been no bounce houses or water slides available to rent. The good news is that residents in the town of modern day Seminole have the opportunity to turn to our party rental bounce house experts for help in creating the ideal birthday party. 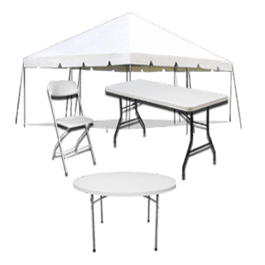 We also offer extras, such as tables and chairs and even tents. The city of Seminole boasts of its own games and fun center so, clearly, Seminole folks are no strangers to having a good time. 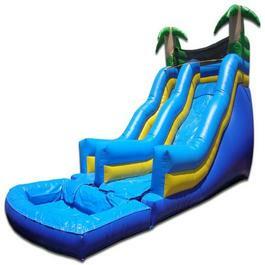 Our inflatable bounce house enterprise is a great alternative to the traditional arcade and fun centers. With our assistance, Seminole customers can actually hold their own festivity in a location of personal choice and customize a party theme with the rental of one or more of our inflatables. 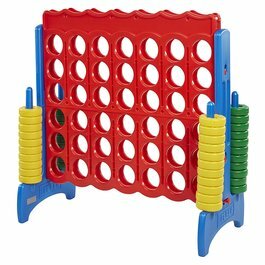 The style and themes of birthdays, picnics, carnivals or school affairs can be handpicked to fit the fancy of the party giver. Done Rite Party Rental can be put up in backyards, parks or any area with space to accommodate an inflatable party bounce house or water slide. All of the work is on us...Done Rite Party Rental has a staff that will set up, secure and remove all bounce houses, related inflatables and water slides. All a renter in Seminole has to do is “show up” and invite the guests. Our rentals can include a supply of beverages (cold soda and water) if requested by the event host or hostess. ​We are a company that recognizes that timing is extremely important…..after all, the celebration can only begin if the plan is executed and the entertainment ready before the first guest arrives. 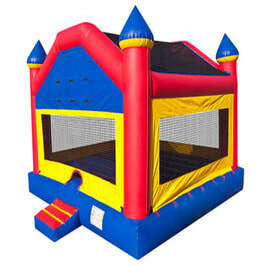 For that reason, we schedule each bounce house rental to be ready well before the onset of the event. 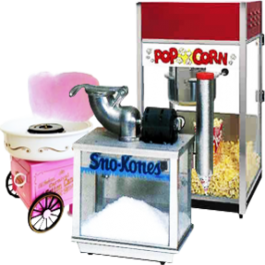 Done Rite Party Rentals is a family owned company that likes nothing better than to furnish party fun items, such as bounce rides, water chutes and games for the amusement and entertainment of children and adults. We ask a fair price and offer super service. Safety is also close to this company’s heart. Therefore, every bounce castle and piece of inflatable equipment is inspected thoroughly for defects and cleaned and sanitized prior to and after each use. This business is insured and licensed in compliance with the rules and regulations of the city of Seminole. For the “time of your life” call Done Rite Party Rentals.